Utah's Best Staffing Professionals Work at YES! Your Employment Solutions employs a wide array of individuals, all of whom participate in the balancing act of life. 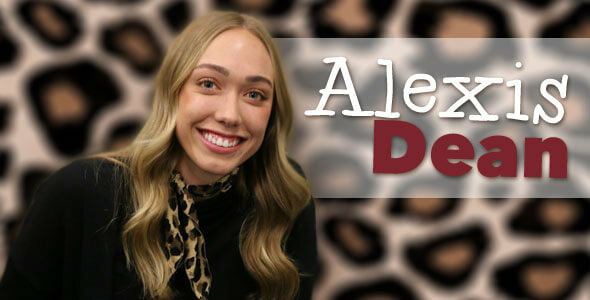 This month's Employee Spotlight belongs to an employee who currently juggles a new school schedule with a new work environment – Alexis Dean! Alexis started working with YES last summer as a full-time recruiter in our North Salt Lake office. She caught on very quickly and was extremely valuable to that office in the short while she was there. She then moved up to Logan to further her education at Utah State University and took on a part-time role at the local office of YES. Her position stayed about the same, but her location, clients, team members, and employees all changed, along with her school schedule – twice! Amid all these changes, she has maintained her value with YES and its clients and has been such a great addition to many of our teams. She is cheerful, energetic, fun, hardworking and reliable. The YES family! I love how everyone works together to help others succeed! Derek Shepard from Grey's Anatomy. Bear Lake. We have a cabin on the beach and I have been going there my whole life. 7. What's the best nail color of all time? Having a schedule every day! I focus on work at work, and school at school! I make a mental schedule for each day the night before. It helps me to prioritize and get things done! ome in and apply! Come get a feel for what we offer. Be honest with what you want, and what your capabilities are. We will get you a job that will fit you best! 11. You're in charge of setting new years resolutions for YES CEO Reed Laws and YES EVP Kerry Westenskow. What goals should they accomplish this year? We appreciate all that you do Alexis and are wishing you all the best in your juggling act of life in college!